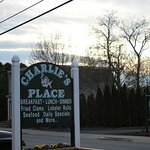 My sister and I always have several meals at Charlie's when we are in Gloucester. Sometimes it rains and a bowl of haddock chowder there is just right. Sometimes we get lobster rolls but then I'll order the scallop dinner and she'll take the clam dinner. that way we can each have a mix of seafood. We often succumb to the homemade pies or puddings too. All of the food is fresh, plentiful and fried just right . Plenty of parking in the lot too. 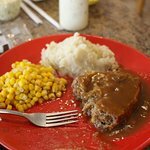 Most important you hear mostly North Shore accents there- proof that local customers eat here too. Enjoy! 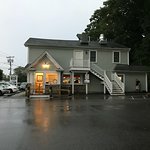 Best place to eat seafood in Gloucester! This is a very small and local place, but the food is incredible!!! The people are wonderful and have great chowders, fish and clam and varieties and all types of seafood! And they have homemade pies and desserts if you can still eat anything when you are finished!!! We always go after whale watches or when in Gloucester for any reason!!!! Never disappointing--unless they are closed! 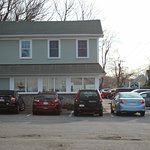 This is a great small local place that has great seafood and great friendly service. Breakfast is good, lunch/dinner is great. Fresh seafood. Good specials on fried clams and lobster rolls on certain days. Great chowder. Chicken fingers are amazing. Nice casual atmosphere. Excellent friendly service. Very good comfort food. Terrific breakfasts. Ample parking. Gets very crowded during summer weekends etc. but worth the wait. 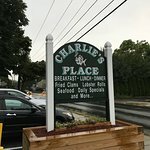 Been to Charlie's Place? Share your experiences!